Manage All Those Crazy Receipts! 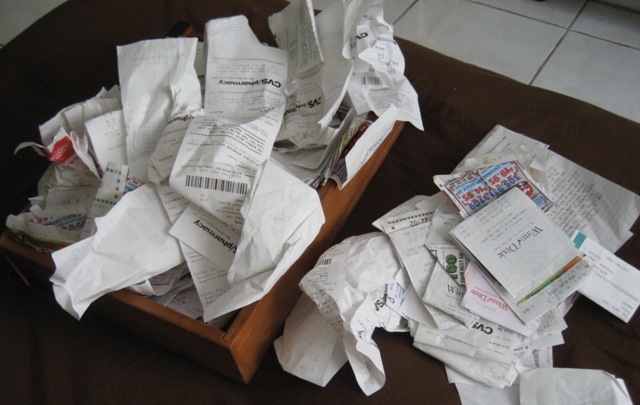 “Receipt management is the worst!” This is something I hear from my clients all the time. If you are in the construction, transportation or any industry where your employees work offsite, you have probably encountered this problem. We have the same problem when it comes to getting our clients to give us receipts, so we can record them. We used to give our clients neon green bags to keep in their trucks, and each time they come in we would trade the full bag for a new bag. Let’s imagine this for a minute, you get a bag of receipts from your drywall contractor client…you reach inside… and find all the receipts stuck together with drywall mud. Seriously… what am I supposed to do with this?? Luckily, we have found a much better solution with Hubdoc! Hubdoc is a receipt management software designed to solve just his program, and it is so easy to use! Why is this software awesome? Just look at what it can do for you! It stores all your financial documents in one place. From bank statements and check copies to receipts from all your employees, Hubdoc makes it easy to store and find all your documents. 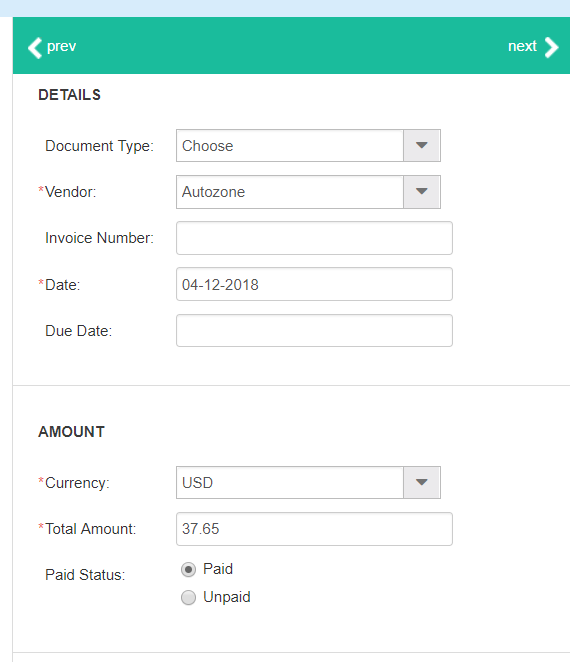 Hubdoc will even automatically categorize your receipts by vendor for you! Your employees can upload their receipts to your account with ease! You can either add them to your account (be careful, if your bank statements are linked to the account, they will be able to see them) or they can email 1 customized email address. There is even a mobile app that makes it easy to snap and upload with the click of a button! 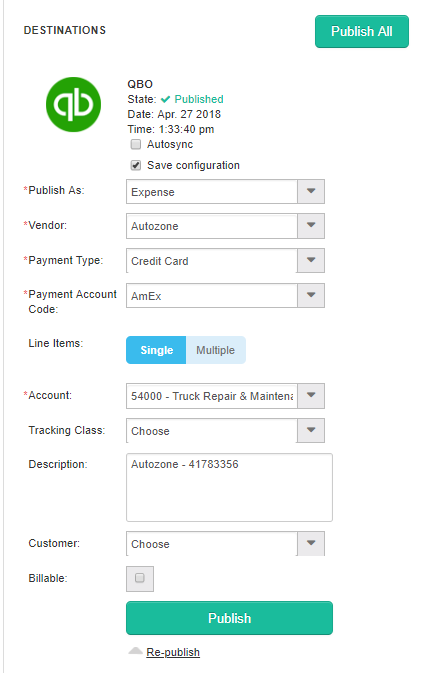 It syncs directly with your Quickbooks Online account. Simply fill in the receipt details (if it hasn’t already been done for you!). Map it to the correct accounts, class, and customer you want it to go to in Quickbooks Online and hit “Publish.” You can even split the transaction between multiple accounts if you need to! Once a receipt is published to Quickbooks Online, there is a copy of the receipt attached to that transaction. It’s that easy…just snap, upload and post a financial transaction to Quickbooks Online! Hubdoc has been a gamechanger for our clients in the lawn care, construction and transportation industries. We have seen a more than 70% increase in the number of receipts we actually get from the client, and we can read them! The days of the old neon bags is gone for us! If you are struggling trying to get receipts from your staff or your tired of your accountant always asking you what a purchase was for… I would highly recommend Hubdoc. You will not be disappointed!